Riedle comes from Ulm. His father was an architect. His mother was the daughter of Isnyer manufacturing family Dethleffs. Her brother, Arist Dethleffs, was the pioneer of the caravan in Germany. Riedle examined already during his studies - first in Tübingen and then in Munich - for his uncle the German caravan market. After graduation, he wanted to do a doctorate. His uncle, who had no son and successor, but said: " Saving time when you take over the company Dethleffs, you do not need a PhD." Riedle accepted the proposal and began the career as an assistant to his uncle. It was not easy: Arist Dethleffs was sick, the company was not doing well. Even if we did not let it show it. Two years after joining Dethleffs opened him his aunt for a museum visit on the way back to Isny ​​by the way: " We have sold the company Dethleffs." After this disappointment did not console the offer: The buyers were looking for the new Dethleffs CEO. They wanted to collaborate with Riedle. Who took over the task to examine himself. Maybe he really was not suitable for guiding the company his great-grandfather? One consolation for the loss of confidence in Arist, Fridel and Ursula Dethleffs was the offer but do not. From 1970-1978 Riedle was alone responsible CEO of Dethleffs. After 10 years at Dethleffs his staff handed him a goodbye, leather-bound chronicle of his work. On the first page the dedication for Bernd Riedle is -look the photo. As Riedle Dethleffs taken, 86 employees achieved a turnover of DM 6 million in the year before his resignation was in the turnover -. 450 employees at that time - rose to DM 80 million. In the recently expanded, the new plant 600 employees were employed. Riedle had achieved his goal: Dethleffs was the first caravan manufacturer Germany- he had again become one of the best. 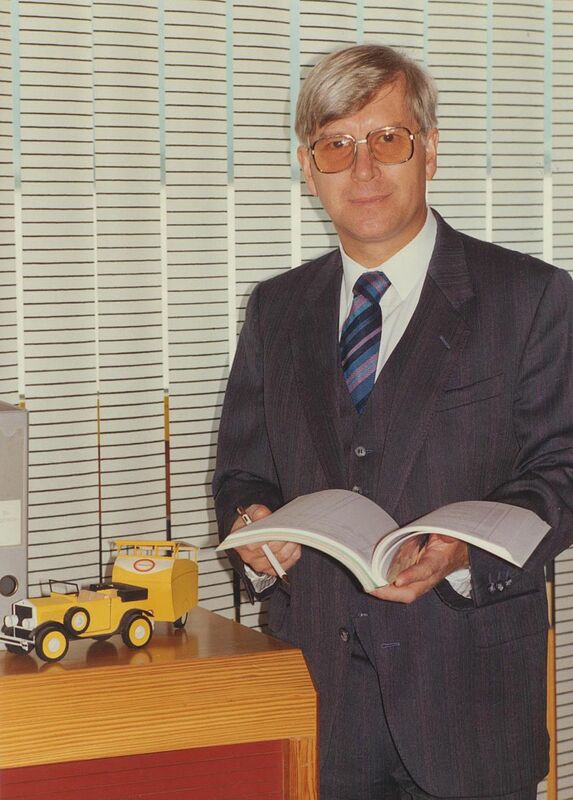 Together with the new owners, Wolfgang Thrun and Jakob Eicker, much has been achieved: Dethleffs was in the development of the semi-trailing arm axle with Prof. Dr. Kirchgässner the first; the new plant took advantage of all opportunities to improve quality; the leadership of the staff already in 1970 based on the wage model BOSCH introduced in 2015 for his employees: common objectives, instead of singular self-interest. The work was hard, but without the trusting collaboration with the team of the company that would not be successful. After the 10th year at Dethleffs him the guidance of the great caravan and motor caravan Tabbert plant was of Burmah Oil Ltd, UK, plotted GmbH. Riedle accepted the offer: he had been a small business out in the SME sector. Now he could learn from Burmah Oil the lead in a group. Riedle accepted the offer. The fulfillment of the objectives of Burmah at Tabbert brought many problems. The new wage policy was opposed by the employees: to high personnel costs could be reduced only by the change from metal to wood Employers' Association. Recognition Riedle had found it at the parent company Burmah, but not among the employees of Tabbert. That was understandable. On the other hand the construction of the new factory of Burmah was approved and has begun - the jobs had become safer. Riedle ended the tension: Burmah and Riedle parted amicably. Nevertheless, the separation was bitterly - The success of the costs was not visible to outsiders. Only later stated Bernd Riedle that two years had been the best preparation for its next task in the international group. Thrun-Eickermann GmbH, TE-Vertriebs-GmbH, Dethleffs GmbH + Hymer GmbH, Hymer France SA. The CMC collapsed under the impact of the economic crisis almost together. The majority shareholder announced its CMC participation. A minority shareholder had also resign from the CMC due to economic problems. Mr. Erwin Hymer fought with Bernd Riedle to the reorganization of the group. 1985 was Mr. Hymer buy the shares of the two retired shareholder he = thus became no longer a minority shareholder, but the sole owner of the CMC. was next to the surprising result of the CMC also announced that the CMC was of almost all now become the largest group of European leisure vehicles unnoticed with its subsidiaries in 1980 had sales of CMC be 220 million. in the economic crisis in Europe, he dropped to 177 million By 1990 revenues from the sale are then increased to 540 million.